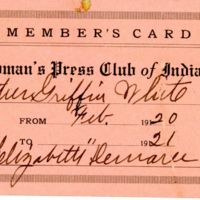 Journalist, politician, Richmondite, Quaker, culture-advocate—these few words barely scrape the surface of Esther Griffin White’s rich life. Born in 1869 to Oliver White, a teacher, and Mary Caroline Cottom White (Carrie), Esther was the second oldest of her three siblings, Winfred, Robert, and Raymond. 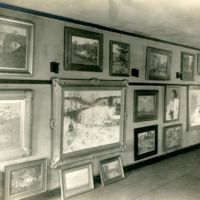 Though she did not get a degree, Esther took some classes at Earlham College in her teens. 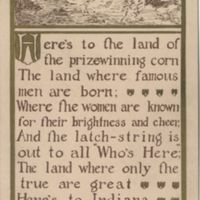 She spent much of her life advocating for women’s suffrage; engaging in various creative activities—such as writing poems and short stories, collecting book plates, and supporting the burgeoning Richmond Art Society; and striving to enhance the type of culture being brought to Richmond, Indiana. 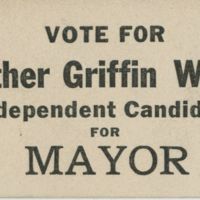 Notably, Esther was the first female in Indiana whose name appeared on an official election ballot. 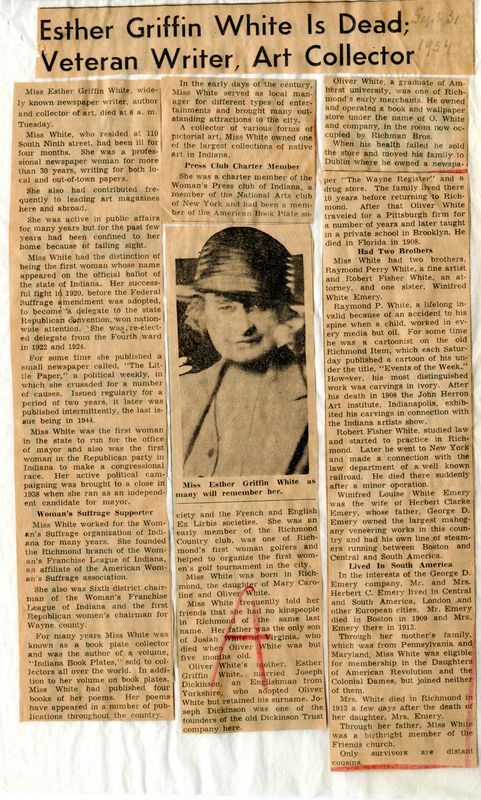 Additionally, she published The Little Paper,which was a newspaper entirely of her own production. 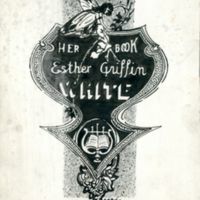 Her opinionated writing style, along with her support for the rights of women, African Americans, and teachers led some to criticize Esther throughout her journalistic career. 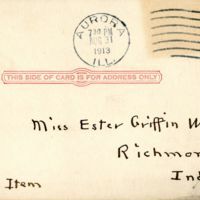 Though she never married, Esther had prolific correspondence with notable artists, journalists, and her family. She died in 1954 and is buried in the Earlham Cemetery. In 1992, Esther was posthumously admitted into the Indiana Journalism Hall of Fame at Depaw University.